raw leaves have a blandish taste. leaves, stem and shoots are edible when cooked. plants is suitable as a potherb. plant can be dried and powered for use as a flavouring agent. 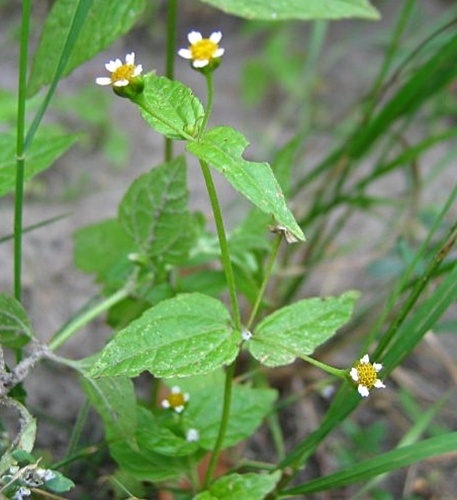 the variety in Ontario is Gallant soldier (Galinsoga parviflora).